Last Saturday night at the Barclays Center in Brooklyn, WBC junior middleweight champion Jermell Charlo claimed bragging rights in the 154-pound division with a stunning first round knockout of undefeated mandatory challenger Erickson Lubin. Charlo floored Lubin with a powerful short right hand at 2:41 of the round to win the matchup of unbeaten fighters. Charlo, 27, improved to 30-0 with 15 knockouts with the second defence of his super welterweight title. The 22-year-old Lubin suffered the first loss of his career, falling to 18-1 with 13 KOs. 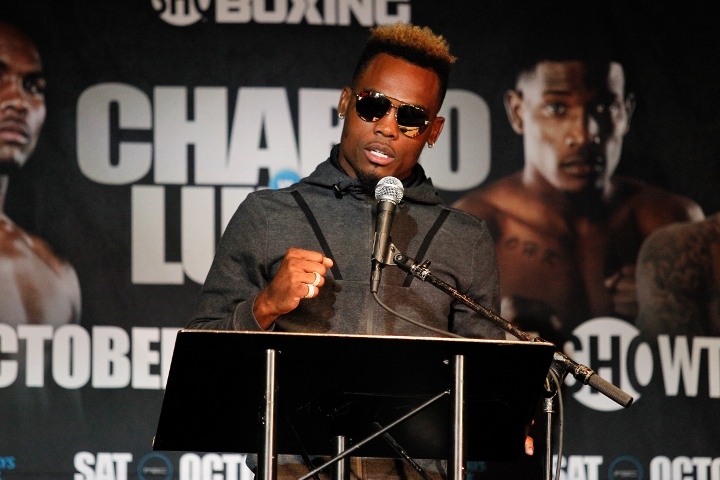 Charlo said he wants to unify the 154-pound titles - and he's ready to fight any of the champions in the division. Two of the other three reigning champions fought on the same Barclays Card - with International Boxing Federation [IBF] champ Jarrett Hurd making his first title defence with a 10th round stoppage of veteran Austin Trout, and WBA/IBOF titleholder Erislandy Lara cruised to his sixth straight title defence with a 12-round decision over undefeated Olympian Terrell Gausha. Charlo is ready to fight either Hurd or Lara next. And, he's even willing to face Canelo Alvarez and Gennady Golovkin at 160 - if the two middleweight stars are unable to reach an agreement for a rematch being targeted for next May. Jermell's twin brother, Jermall Charlo, is currently the mandatory challenger to Golovkin's WBC title. "[For my next fight] it can be any of the guys who got the belts. It can be Canelo or Triple G if we have to. They see the Charlos, they know we at the top... they know we at the top," Charlo told TMZ. The fourth missing piece of the junior middleweight puzzle is Puerto Rican superstar Miguel Cotto, who holds the WBO world title. He makes his final career appearance on December 2, when he defends the belt against Sadam Ali. Cotto plans to retire after the fight. If Ali pulls off the upset, that would open up another unification option for Charlo. [QUOTE=Kigali;18151772]If he were a Khan ready to happen....it would have happened in the GG fight. [/QUOTE] Solid point.